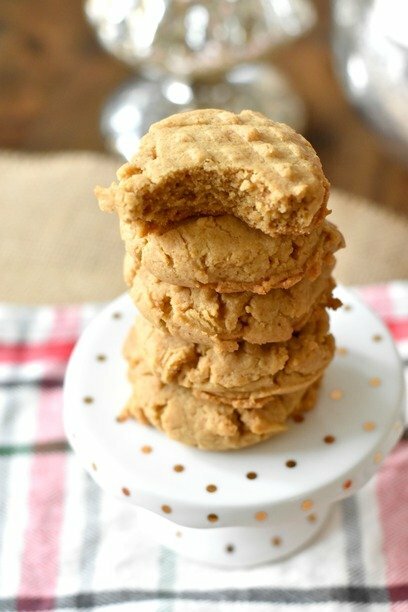 Gluten and dairy free peanut butter cookies are a staple recipe as far as I’m concerned. My entire family is obsessed with chewy gluten free peanut butter cookies. 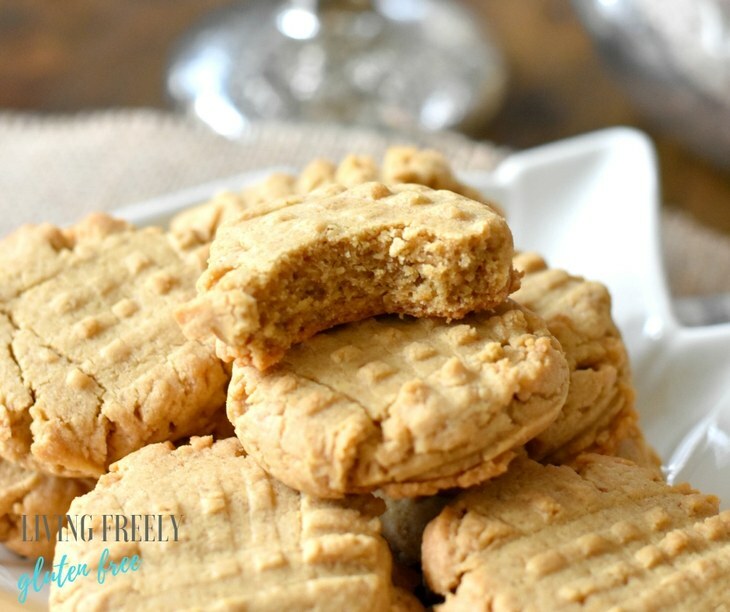 Adding gluten free peanut butter cookies to our dairy free cookie recipes list was a must. These gluten free peanut butter cookies with gluten free flour are not those 3 ingredient cookies you see floating around the internet. These are the real deal traditional style cookies. It’s surprising that it took me so long to get gluten and dairy free peanut butter cookies up on the blog. They are my Husband’s and Mom’s favorite cookie. 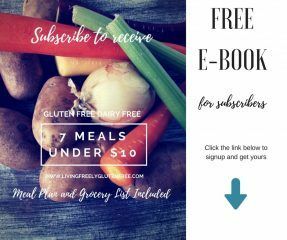 My kids love them too and I am excited to have these chewy gluten free peanut butter cookies up to share with all of you. 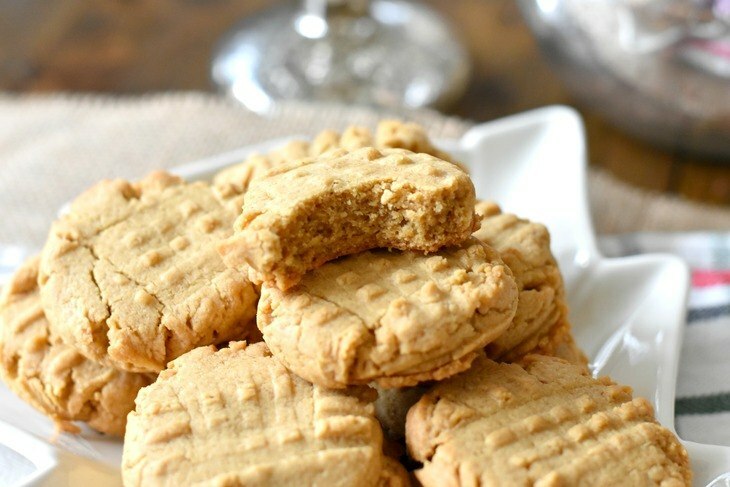 Since these are traditional style gluten free peanut butter cookies with gluten free flour, you can use them as the base for Peanut Butter Blossoms. You can even add chocolate chips and they will be perfect. 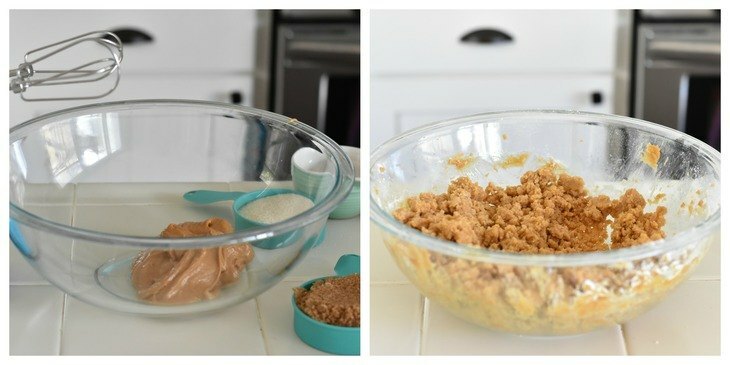 How do I make these Gluten Free Peanut Butter Cookies with Gluten Free Flour? Preheat the oven to 350ºF. In a stand mixer, or with a hand mixer and a mixing bowl, cream the peanut butter, eggs, sugars, vegan butter (use regular if your not dairy free), and vanilla for 2 minutes on medium speed. Add the baking soda, salt, xanthan gum, and gluten free flour. Mix for 3 minutes on medium/low speed scraping the sides of the bowl halfway through. With a cookie scooper drop the dough on a baking sheet lined with parchment paper. Space them about 2 inches apart if possible. You can press them down and shape the sides if needed. Press a fork on top in an X shape. Bake for 12 minutes. Allow to cool for about 15 minutes before serving. You can add chocolate chips too! 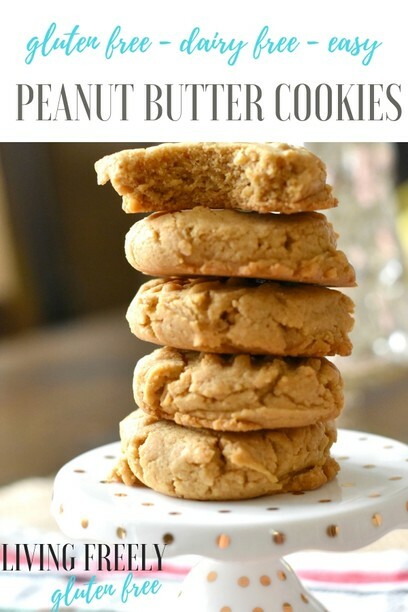 With the holidays here I am experimenting with cookie recipes like crazy and of course a good gluten and dairy free peanut butter cookie recipe was at the top of my list. What is your favorite cookie? Preheat the oven to 350ºF. In a stand mixer, or with a hand mixer and a mixing bowl, cream the peanut butter, eggs, sugars, vegan butter (use regular if your not dairy free) and vanilla for 2 minutes on medium speed.